The Google My Business dashboard has made a small but useful change to business listings. Instead of dumping all of your business categories into one big category, you can now set primary and secondary options. The change allows for a better and easier to understand user experience. In regard to the changes, Google views local content and tools as an “engagement platform” for local consumers and business. You can find Google’s introduction video for the changes by clicking here. Instagram has introduced a new shopping collection feature that will allow them to save products of interest. Just tap a product tag in a post or Story and then a save icon can be tapped, which provides a “Save to shopping collection” option. Users can then browse collections later from a link in their profile. To further help brands sell products, a shopping icon has been added to the corner of branded videos to make it easier for people to view prices. Business profiles also get a new shop tab that allows users to browse products that can be clicked to see information and the post that featured the product. 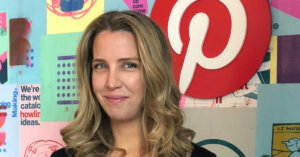 Pinterest and Etsy have partnered together to offer Macy’s, Lowe’s and Kohl’s online “gift globes” to create more personalized shopping experiences for customers. For the gift globes, users specify who they are shopping for and get a personalized list of gifts from the retailers. Clicking the “Buy Now” button launches a Pinterest purchase page. For the Etsy Gift Finder, Pinterest users can complete a gift tag that narrows the list of gift options and provides a customized product page that lets users buy from the marketplace. Learn more about the virtual gift globes by clicking here. AMP Story Ads are no longer in beta and are now receiving Google Ad Manager support for direct sold ads. AMP Story Ads have been tested with a small group of publishers and appear within AMP stories in a manner similar to Facebook, Instagram and Snapchat. The call-to-action button takes readers to the advertiser’s site or app store. Instructions for how to create an AMP Story Ad can be found here. LinkedIn is rolling out a new Page experience in the U.S. that will expand globally in the coming weeks. The changes include a content suggestion tool for Page Admins, more advanced analytics and tools to help businesses engage with employees within LinkedIn. Integrations with Hootsuite and CrunchBase are also part of the changes, allowing Admins to get activity page notifications through Hootsuite. The CrunchBase partnership will let LinkedIn feature funding insights and investor information on Pages. Click here to learn more about the refreshed LinkedIn company pages. Instagram has a new hashtag search API. The current search feature on the Instagram Platform API will not be available after December 11, 2018. Instagram is also ceasing the ability to post and delete comments. The ability to review public profile info and media via the API is also being removed. With the new version, businesses can search for up to 30 hashtags within a seven-day period. Search results in the new version will not include Personally Identifiable Information. Hashtags used in Instagram Stories will not be included in the new API. Businesses also cannot comment on hashtagged media objects. Businesses need to undergo App Review to be granted access to the Instagram Public Content Access feature and the Instagram basic permission requirement. See Facebook Developer News for more information on the new search API. Pinterest has introduced a new ad format – Carousel ads that allow businesses to include up to five images. The ads will appear in a user’s feed like a regular Pin but people can swipe through the images directly in their feed or tap and display one of the five images. Tapping it will launch the product’s landing page. Similar to Facebook’s carousel ads, brands can include a title, information and landing page for each product within the Promoted Carousel ad. The companies that received early access include Covergirl, Cheerios, DSW and Everlane. Learn more about the new ad format by clicking here.